VirtualDJ for Mac is the hottest AUDIO and VIDEO mixing software for Mac OS X, targeting DJs from the bedroom, mobile, and professional superstars like Carl Cox. With VirtualDJ's breakthrough BeatLock engine, songs will always stay in beat, and the DJ works their mixes incredibly faster than they ever could. The automatic seamless loop engine and synchronized sampler lets the DJ perform astounding remixes live, with no preparation at all. 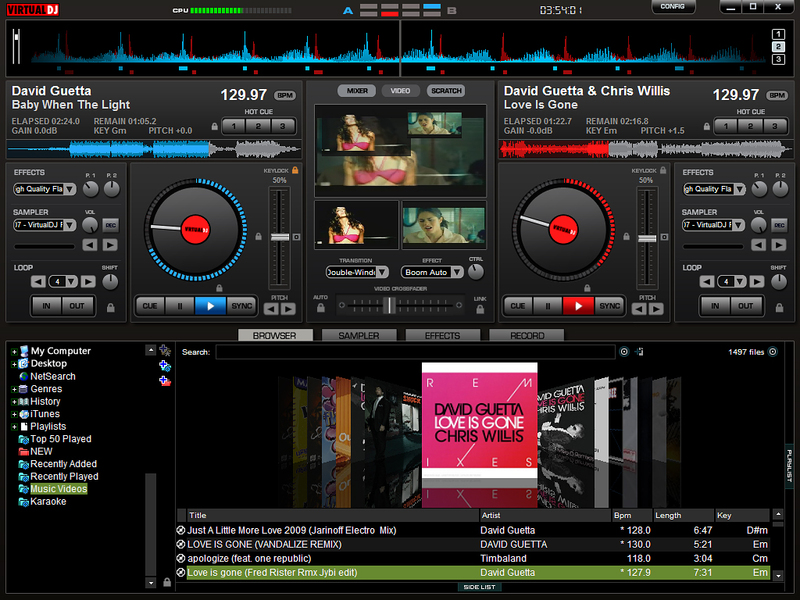 VirtualDJ for Mac is the hottest AUDIO and VIDEO mixing software, targeting DJs. ...... be surprised by a break. The vinyl controls will let you scratch like on a real turntable, except that with the beatlock engine your scratches will never end out of the beat. Add to that the infinite number of cue points a DJ can save for each song and large collection of wonderful automatically beat-synchronized effects. And with VirtualDJ's large collection of skin interfaces to suit everybody from the beginner to the professional DJ, the possibility to record the DJ's mix to then burn to CDs, to broadcasting on the Internet and/or the DJ's own radio station, to use headphones to preview the song, or use an external mixer to perform in a club; VirtualDJ is a DJ's ULTIMATE mix software. Lastly, enter the new era of DJs mixing video enhanced songs (DVD, DivX, MPEG...) which can be sent to monitors, TVs, a projector for display on a giant screen. Qweas is providing links to VirtualDJ for Mac 7.0.4 as a courtesy, and makes no representations regarding VirtualDJ for Mac or any other applications or any information related thereto. Any questions, complaints or claims regarding this application VirtualDJ for Mac 7.0.4 must be directed to the appropriate software vendor. You may click the publisher link of VirtualDJ for Mac on the top of this page to get more details about the vendor.